Audrey Hepburn ballet dreams – Audrey Hepburn’s iconic, Peter Pan features and waif-like body still inspire an aura of mystery. What most do not know is that her classic physique and sleek posture were the result of extensive ballet training before her debut as a Hollywood film star. Audrey Kathleen van Heemstra Ruston was born in 1929 in Brussels, a city suspended upon the brink of depression and war. Belgium was still struggling to recover from the incredible destruction of World War 1 and the Great Depression of 1929. Unemployment remained high, and those with little hope began to put faith in fascist, authoritarian political entities. Small Audrey could have known nothing of that when she was sent to boarding school in England by her Dutch mother in 1934, at the age of five. In an effort to teach Audrey English language and customs, the child, barely past toddler age, spent holidays with apparent strangers, a coal-miner’s family. There she was to become immersed in English customs and language, the culture of her British father and a practical preparation to live in his country. In spite of such efforts, not much later, in 1935, Audrey’s father left Audrey and her family for good, leaving no forwarding address and no word. Soon her parents would divorce. Audrey begged her oft-traveled father to remain available, and he was granted visitation rights to the family. The granting of rights did not mean he needed to exercise them, and he managed to avoid contact with the family, leaving Audrey bereft of a father’s influence. At around the time of her devastating family separations, Audrey was taken to some ballet performances in Brussels. Like entertainment today, in 1935 there was a strong desire to market a young, fresh approach to ballet. George Balanchine, a noted ballet producer from the Ballets Russes de Monte Carlo, wanted budget cuts and quick, innovative, low-cost productions. His desire for fresh flexibility led him to cast very young ballerinas such as “baby ballerina” Irina Baronova, a strong Russian athlete and dancer of just 13 years. Balanchine’s company toured widely in Europe, so a little girl suffering loss and displacement could have easily been impressed by another child’s established position as a ballerina in a famous company. Audrey’s interest in ballet began at this turbulent juncture in her life. She began ballet lessons at the age of five, a standard age to debut training for the demanding performance of classical ballet. Children’s ballet training has sometimes been described as “a sacrifice of childhood.” The entrance to ballet school is rigorous, including examination of flexibility, coordination, posture and musical intuition. Audrey Kathleen van Heemstra Ruston saw the majesty, the sparkle, the fairy-tale beauty that the hard grind of ballet presents upon the stage and decided to become a ballerina. At about that time, Audrey’s mother made a fateful decision for the family. Audrey’s newly-won world of ballet in England was disrupted when her mother decided to move the family to the land where she was born, Holland. This decision was simply practical, the mother decided that neutral Netherlands would be safer than England, a land preparing for World War 11. At the age of eight, Audrey again faced a reorganization of her life. Audrey was fluent in English, but knew no Dutch. Her mother determined that she quickly learn Dutch and adjust to her new culture. This was to prove fortuitous in the near future. In 1940, while the Van Heemstra family was still struggling to become Dutch, German soldiers began the heavy march of booted feet through Arnhem, snatching up Dutch resources for the long and devastating battle of World War 11. The Van Heemstra family was not overlooked. Every bit of their property was confiscated, including home, bank accounts, jewelry and any rainy day securities. Dutch only must be spoken, whispered Audrey’s mother. English would be a red flag to German soldiers in the streets. Audrey began serious ballet training in the Arnhem School of Music while aggression swirled in Dutch streets. She was a student of a prima ballerina and instructor, Winja Marova. As Audrey toiled under the rigorous physical stress of arduous ballet training, food rationing became severe in Holland. When spring arrived, even a egg was a culinary prize, and meat was rigorously rationed. By summer, there existed no tea or coffee to appease constant hunger. As winter approached, fuel shortages dictated that only one room of a dwelling be heated. While Audrey practiced ballet jetes, her existence offstage became a dance of the macabre. Her uncles were executed for an underground effort to blow up a train. Her brother Alexander was caught hiding with the underground movement and forced into hard labor. He toiled 14 hours daily in a German munitions factory in Berlin until his death. Photo from Luca Dotti’s Book. Audrey and her mother scrambled for survival and received housing by a grandfather, Baron van Heemstra and Audrey’s widowed aunt in the city of Velp. Audrey flung herself more deeply than ever into the strict and predictable practice of ballet, the beautiful, the fantastic, the world of dreams presented on stage. Her companies gave performances called “blackouts”, secret stage events with locked doors and drawn blinds to avoid Nazi discovery. In doing so she raised money to fund the Dutch Resistance. She was also able to provide private lessons to children at the age of 13, earning much-needed survival money for her family. Even so, it was not enough. The lack of nourishment weakened the child dancer enough to cause her to stop dancing temporarily. Now, collapsing with stark hunger, she delivered messages for the Resistance in the streets, relying upon will-power alone. In winter of 1944-45, the young teen managed to begin dancing again, giving private lessons in the one heated room of her home. Soon, the authorities became wise and forced the child dance troupe out into the frigid streets. The high cost of “dance rage” could be noted in Audrey’s physical condition. She was 5’6″ tall and weighed just 90 pounds. She suffered from the classic conditions of malnutrition: anemia, asthma and edema, or swelling of the ankles and feet. Her metabolism was affected for life, giving her a permanent waif-like frailty. Dance rage continued. As the war drew to a close, Audrey’s mother managed to relocate the family to Amsterdam and ballet study with Sonia Gaskell, the very premier of Dutch ballet performers and teachers. Audrey had no money to pay for lessons, but the teacher recognized her enormous desire to succeed. She was given a chance, and performed with Gaskell’s star pupil at Amterdam’s Hortus Theatre. She was noted by critics as having less than stellar technique, but incredible talent. In spite of her steely discipline and strong talents, Audrey’s performances and desire to become a prima ballerina were thwarted by her height – at 5’6″ she was considered too tall to fit into ballet themes on stage – and too limited in technique due to her lack of intense ballet training during the war. 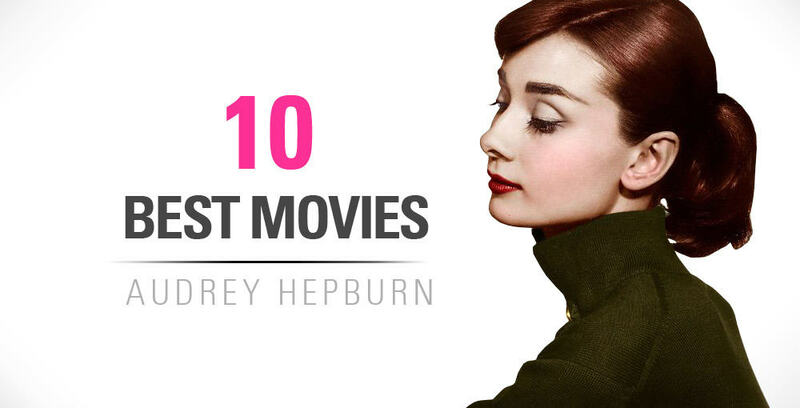 Another rearrangement of Audrey Hepburn’s life was about to begin. She accepted the pedestrian training of a dental assistant to supply financial need and again pulled herself to stellar heights. She used her dance talents to audition for Funny Face, her musical debut, and her iconic presence and tenacious talent were showcased upon the American entertainment scene with dance legend Fred Astaire. Here’s rare footage of Audrey Hepburn dancing as a ballerina in the movie “The Secret People” made in 1952. Next articlePerfect Elizabeth Taylor Eyes – Makeup, Eyelashes, & Eye Color! Great article:) There’s another dance scene in secret people too. Its actually a pretty good movie and a must have for any fan looking to complete their Audrey collection, though I’ve only seen it in region 2 formats.